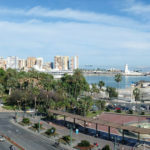 Marbella is one of the largest cities in the province of Malaga, also comprising other areas as Elviria, Calahonda or Cabopino. In general in this link we talk about the town. However, at the links below you have access to more detailed information on the various places to see in Marbella and the most interesting activities available. 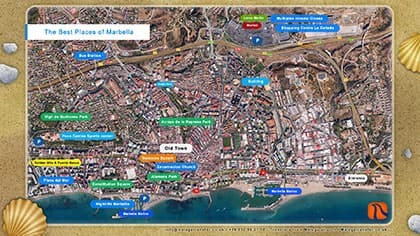 What to do and see in Marbella? Know the closest and best golf courses of Marbella. Know where you can go to the cinema to see a film in and around Marbella. The city has some cultural spaces you can visit whenever you want. Marbella is a great place for shopping and here we tell you where to find the best shops and shopping centres. The La Canada shopping complex is huge and here we provide information about the most outstanding restaurants and shops. In our Marbella restaurants page there is only room for the best restaurants; take note of these if you want to enjoy a nice lunch or dinner. A simple guide to the beaches of the city and surroundings like the beaches of Calahonda and Cabopino. In addition to Puerto Banus, Marbella has more marinas, including for example Cabopino. Where is a good nightlife? Know the fashionable clubs and pubs of Marbella. 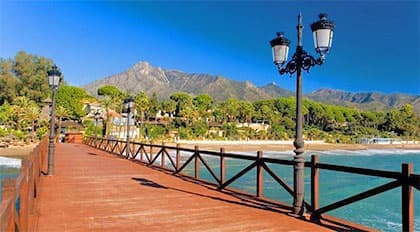 Find out more about possible destinations from the bus station in Marbella. Know the top 10 hotels located within the city. We provide a map where you can easily find the most relevant places of the city. We recommend information about our transfer services, if you want to go to Marbella from Malaga airport, from Malaga city or from any other point of Malaga province. 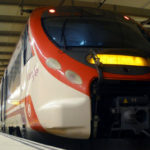 How to get to Marbella from Malaga airport? Here we explain in detail the route to follow when driving from the airport to Marbella.